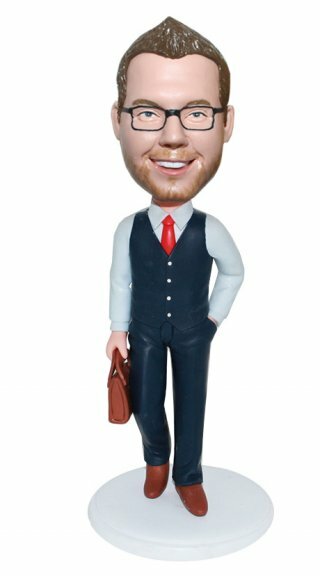 Business man bobble heads.the office bobble heads/Career figurines Corporate Gifts. Unbelievable. My groomsmen LOVED them. Incredibly realistic, great price, and very very fast! I'm not sure what to think until I see the final product. Looking at the "mock bobblehead" looks great thus far.